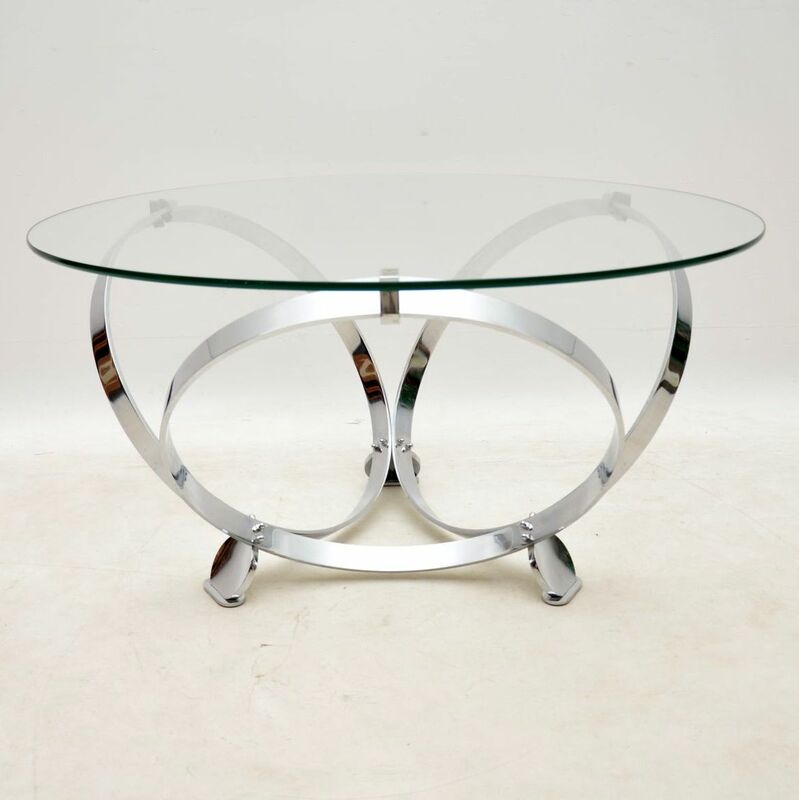 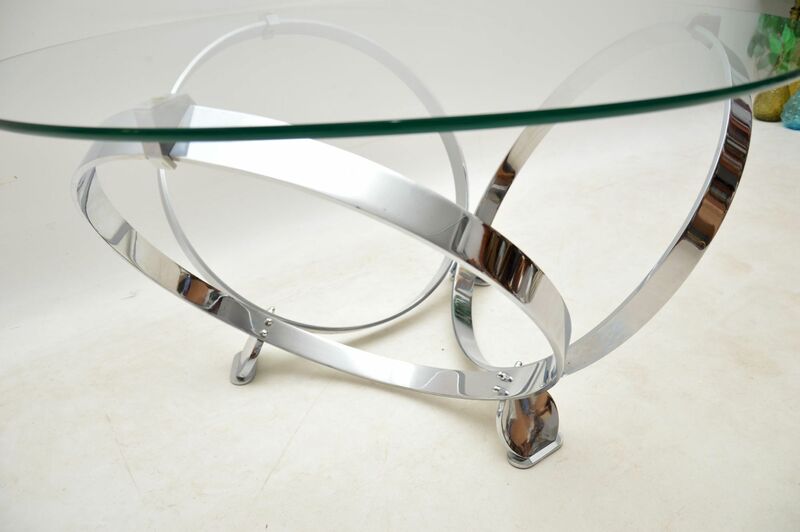 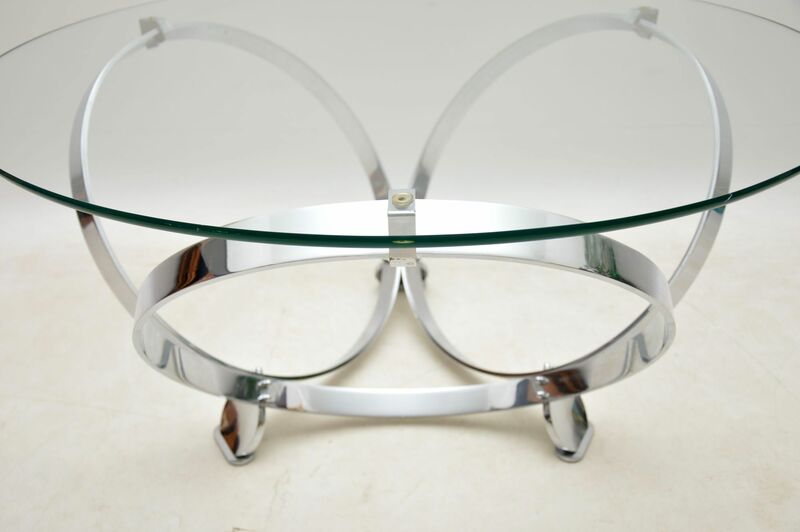 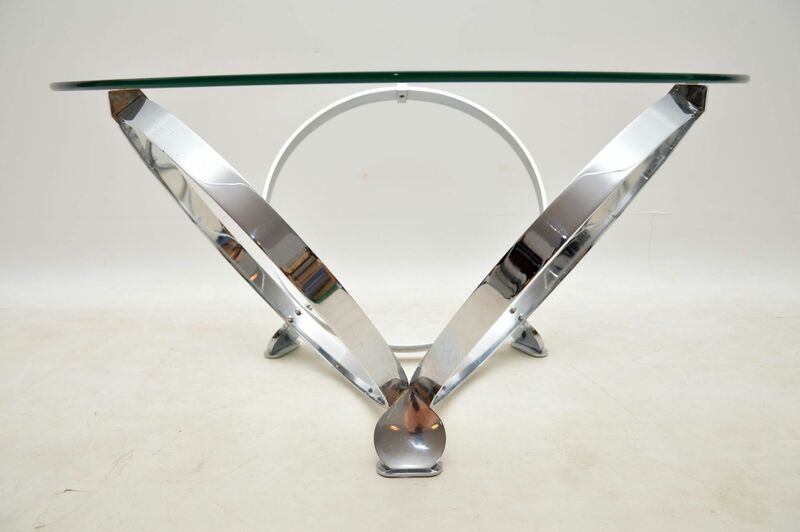 An exceptionally stylish and extremely well made coffee table in chromed steel and glass, this was designed by Knut Hesterberg, it was made in Germany in the 1970’s. 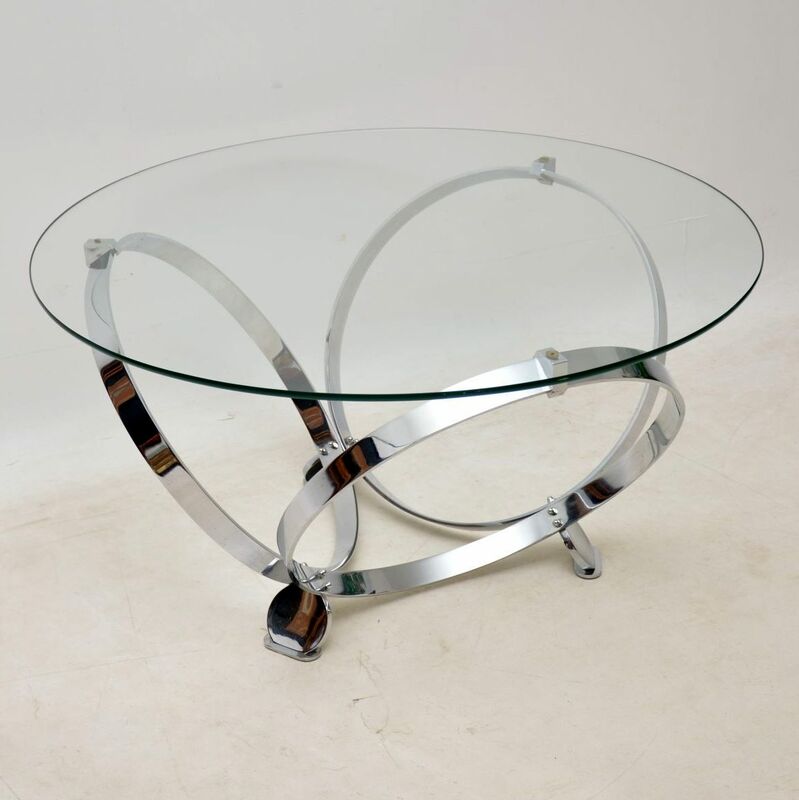 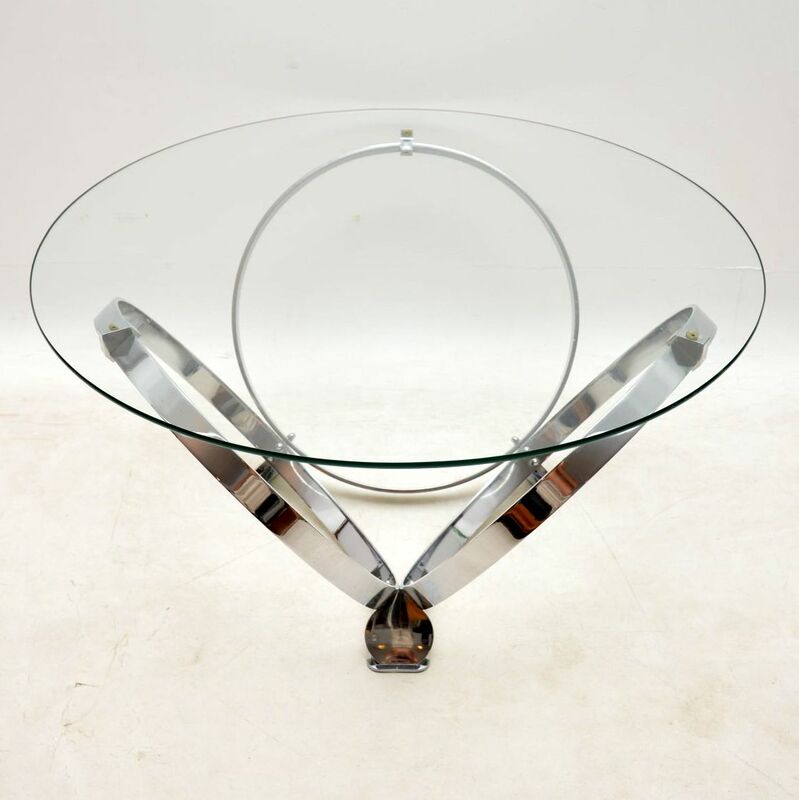 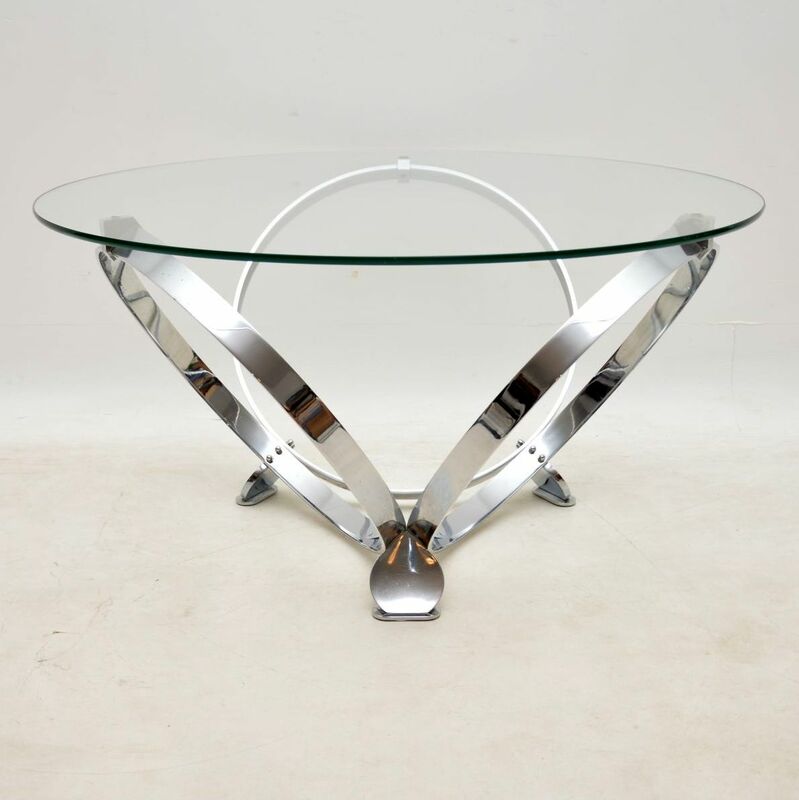 It has a striking design with three large chrome rings, linked at the base by three concave disc shaped feet, supporting a clear circular glass top. 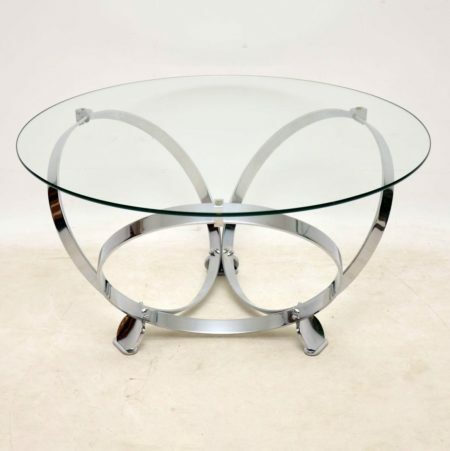 The condition is superb for its age, with hardly any wear to be seen.